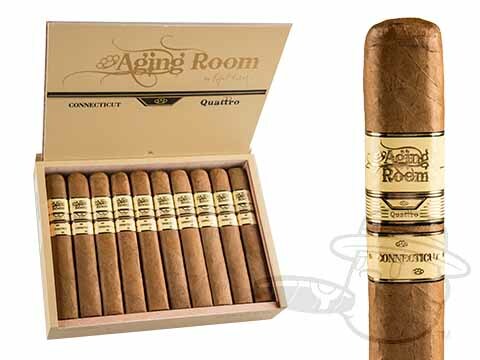 Expanding the top-rated Aging Room Quattro cigar portfolio, the Aging Room Quattro Connecticut introduces a creamy-cool new way to experience the Cuban-esque character of Aging Room. 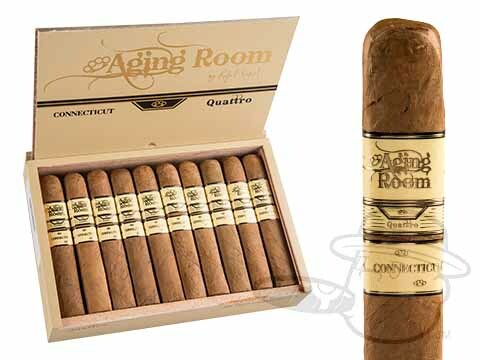 Wrapping a shiny Ecuadorian-grown Connecticut leaf around an astounding blend of fine Dominican tobaccos, the Quattro Connecticut kicks it up a notch with a medium-full bodied melee of creamy, nutty, spicy and sweet tasting notes that beg to be paired with a good cup of Cuban coffee. 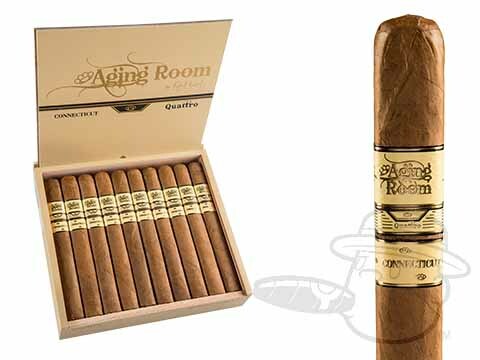 Layered lush flavors and an impeccable burn performance make the Aging Room a shoo-in for critical acclaim and high ratings to come. 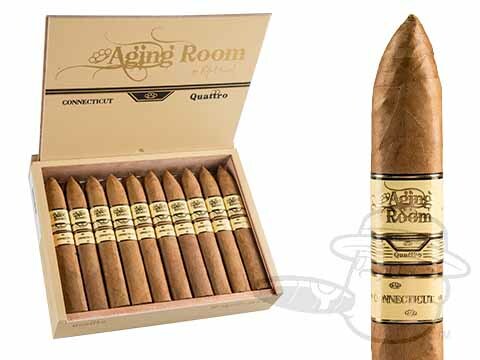 Grab yours now at the greatest discounts available and get in on the ground floor.